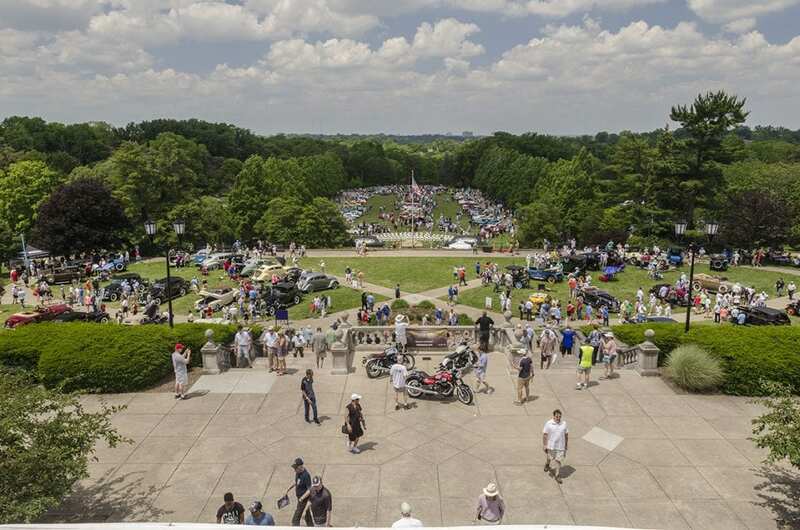 The 41st Cincinnati Concours d’Elegance is this weekend at beautiful Ault Park! This year, the Concours will celebrate Seven Decades of Porsche, alongside a weekend full of fun events and over 200 gorgeous classic cars, all benefiting the Juvenile Arthritis Foundation. The first Porsche, produced in 1948, was the 356, which quickly gained a large following of automotive enthusiasts for its design, handling and quality, especially after winning its class at Le Mans in 1951. The concourse will celebrate the brand’s rich 70 year history, featuring a range of vehicles from the 356 to the modern 911. Also celebrating it’s 70th anniversary, the Jaguar XK 120 roadster, which was first introduced at the 1948 Earl’s Court Auto Show in London, will be featured at this year’s show along with a special collection of vintage scooters. The weekend kicks of with a variety of events including a countryside driving tour, a hanger party, art show and Sunday brunch! Click here to see everything the Concours d’Elegance has to offer, and get your tickets now!